Hello, I have a UE46ES8000 with failing wifi board that causes random reboots and crashes. who said it was in "Control-> Sub Option"? Sorry but I saw again all the menus in the service menu but there is no NETWORK Support. Maybe it is in the Expert menu (greyed)? No, there's nothing into "Expert", but possible you have to enter "extended" service menu. Check wiki for how-to. zoelechat wrote: No, there's nothing into "Expert", but possible you have to enter "extended" service menu. 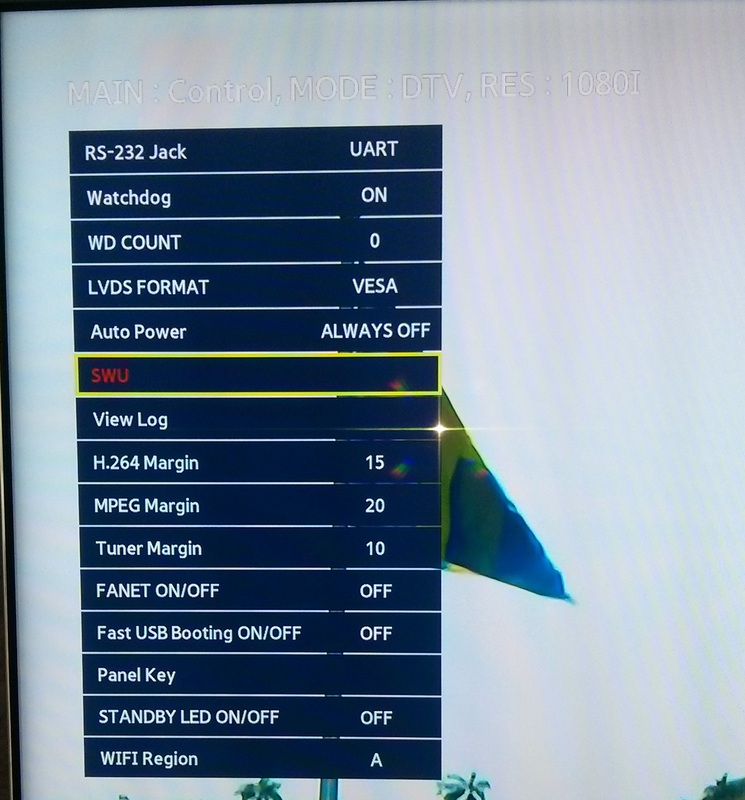 I enabled the extended menu with an android smartphone and "Network Support" was in Control-> Sub Option, I changed it to cable, smart hub reset, factory reset, disabled OTN, upgraded via USB and now the TV works very well, it's faster and it doesn't crash if I go in network settings or in smart hub .